A fuel gauge at empty. Focus on Mystery – Danger and Astute Intelligence. The image symbolizes ultimate wisdom acquired in pursuit of Elandar. The owl (of dark, empty space), hunts silently demonstrating astute intelligence, finding hidden worth. The image of the fuel gauge on empty suggests arrival, relief from the Danger inherent in the journey. The focus is on the opposition of poles. The hexagrams suggests the meaning of this alliance. 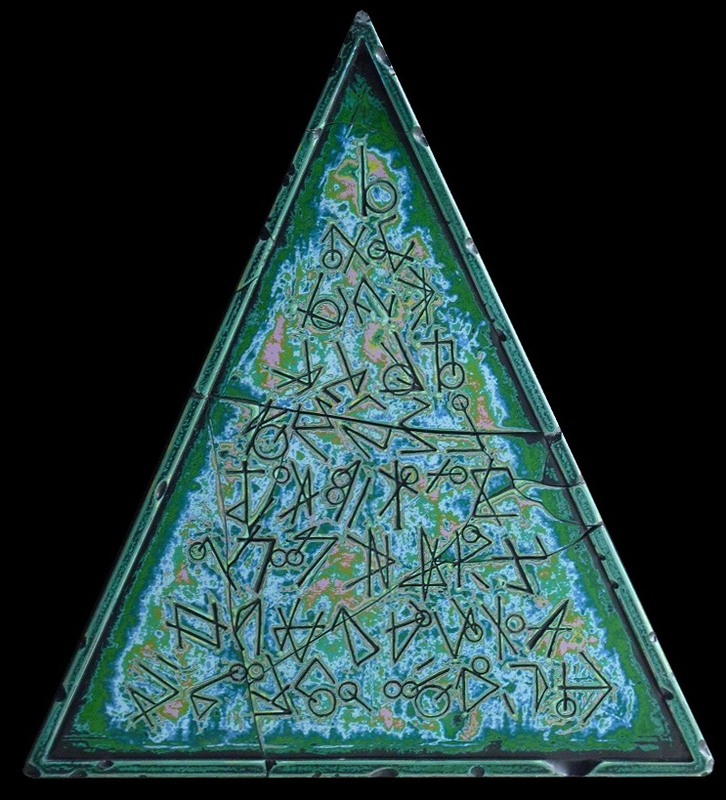 This symbol is central to the foundation of the Pyramid. True worth emerges when something valuable can be shared. Focus on Synergy, Mystery - Danger. The image of the fuel gauge implies emptiness, the Astute message from void. The Mystery is solved, Danger is averted. The journey has come through. Now the (Zenith) gauge points to Synergy (partnership). We've arrived somewhere from this trip. The bouncing ball maintains the game theme where the height of the bounce represents the unknown and mysterious Danger, while Zenith below as now positioned is safely grounded. The focus on Synergy and Danger suggests a complimentary relationship finding the hidden solution. Elandar is playing your game.